Is the Dollar Losing Reserve Currency Status? With American protectionism on the rise, analysts have been speculating that the dollar’s status as the dominant global reserve currency may be threatened. President Donald Trump’s escalating trade war against the world is reportedly making the European Union and a wide roster of other foreign governments reconsider the wisdom of relying on the dollar for their primary reserve currency. The recent tariffs targeting allies as well as competitors are not making the dollar more attractive to currency managers. The possibility of the US dollar losing reserve currency statuscould be one of the more serious side effects of the Trump trade war against the world. Here’s what you need to know. A reserve currency is a currency that is held in significant quantities by governments, banks, and other institutions. Reserve currency helps support the value of national currencies, serves as a hedge against foreign speculators, and is used for international transactions. 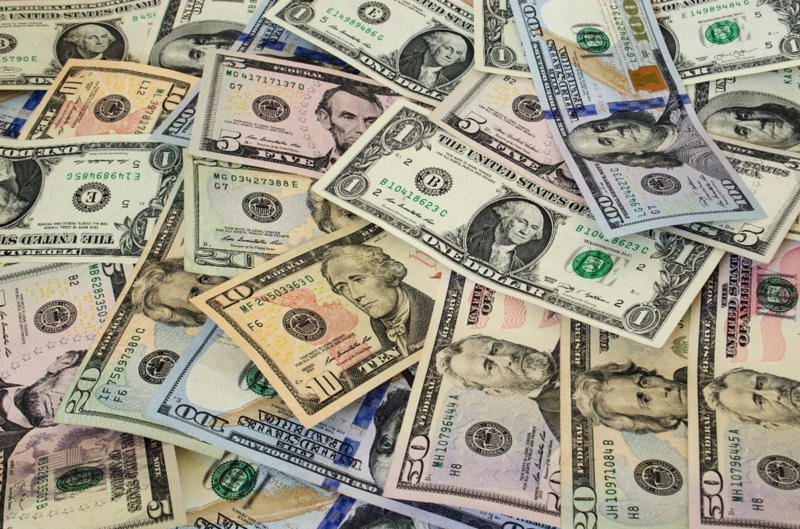 The dollar currently accounts for around 64 percent of global reserve currency. The euro, which is the only other primary reserve currency, accounts for approximately 20 percent. For the past seven decades, the US dollar has held dominant global reserve currency status, meaning it is the most popular currency used for international reserves. 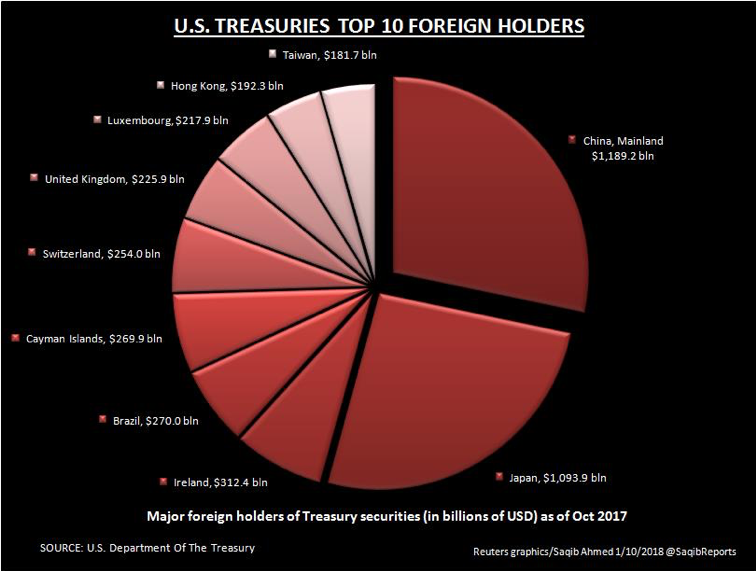 The dollar’s global reserve currency status has resulted in some significant financial advantages for the U.S. Because the U.S. dollar is the dominant funding currency, American trading partners have sunk a considerable amount of money into U.S. government bonds. This has helped the U.S. to run budget deficits without jeopardy. Because so many nations that want to do business with each other use American dollars for their global trade transactions, it is often less expensive for American companies to borrow money than their competitors in other countries. These lower funding costs can give U.S. multinational companies an advantage in contract negotiations. 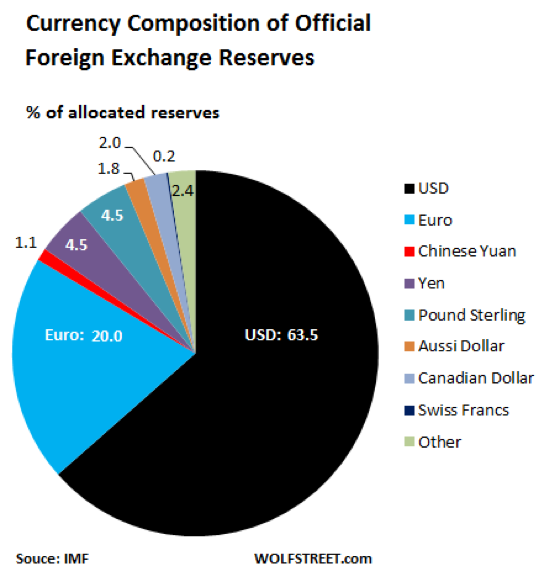 The US removal from international trade agreements and the uncertainty that the Trump trade war has created is opening the door for other countries to make a play for reserve currency dominance. Because tariffs have been levied against allies as well as competitors, there is less incentive for countries to invest in dollar reserves. The case has been made recently that euros or yuan may be poised to capture reserve currency dominance. 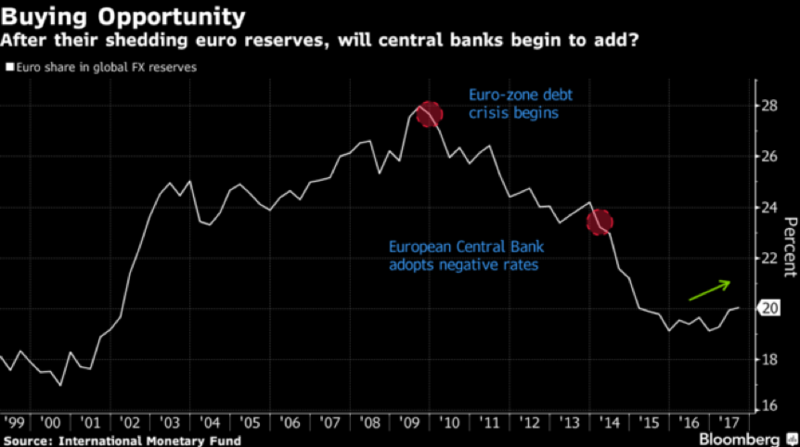 Bloomberg reports that reserve managers at several of the largest central banks have been seen moving $500 billion of reserves into euros. While the U.S. is leaving established trade deals, the European Union is actively pursuing free trade deals in countries throughout Latin America and Asia. As the U.S. loses prominence and countries turn to the EU for trade deals, a shift to euros as the reserve currency could be a natural progression. Despite current concerns, the dollar is unlikely to lose its status as the world’s most popular currency in the near future. This is not the first time that the dollar’s reserve currency status has been called into question. 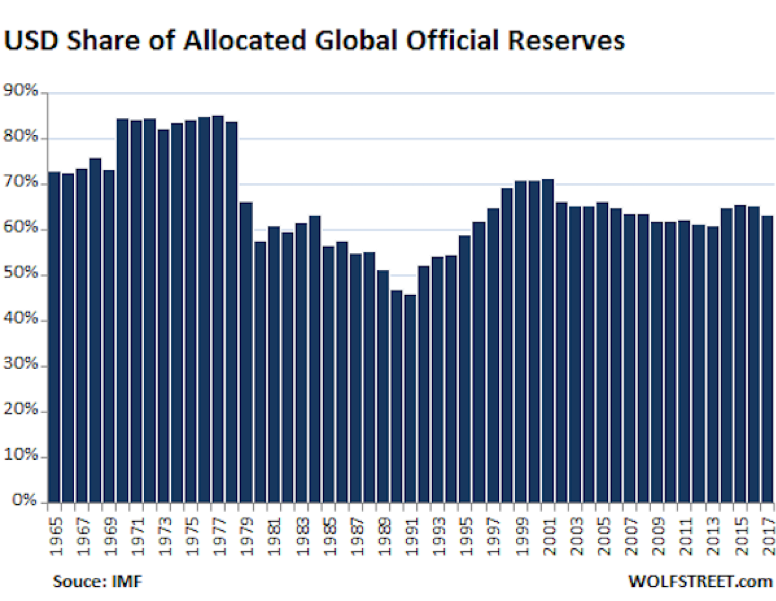 International concerns surfaced about the dollar during the 2007-2008 financial crisis, but the USD share of global reserves was barely impacted. When the 2013 government shutdown over raising the debt ceiling caused a downgrade in the United States’ financial rating, there was only a minor decrease in the USD global share. For now, the U.S. dollar remains the dominant global reserve currency by a considerable margin. If the ongoing trade war and other financial news have you concerned about the security of your investments and retirement plans, consider reaching out to Matt Logan at www.Mattloganinc.com. We can demystify current events and help you develop a stable financial plan that offers a sound path to ensuring your future security.